In June, a Dutch court in the landmark Urgenda decision concluded that the Netherlands must reduce its ghg emissions by 25% below 1990 levels by 2020. This is the first case in the world where a national government has been ordered by a court to reduce its greenhouse gas (ghg) emissions commitments by a specific amount on the basis that its current commitments and polices are not legally sufficient. This case had enormous potential significance not only for climate change law but also for ethical arguments made about what a nation should do to reduce its ghg emissions if the case for one reason or another is not directly applicable to legal responsibilities of nations other than the Netherlands. Although the court’s decision on the Netherlands’ emissions reductions has been widely publicized around the world, the logic that the court used to conclude that the Dutch government had a duty to reduce its ghg emissions by 25% below 1990 by 2025 has received little media attention despite the fact that much of the court’s reasoning is potentially legally applicable to the responsibility of all other developed nations. And so, the reasoning in the Urgenda case could be used by proponents of stronger responses to climate change in other countries. Yet, as we will explain in this post, despite the fact if other courts apply the reasoning in the Urgenda to other developed nations, many developed nations including the United States, Australia, Canada, and New Zealand would be required to increase their national ghg emissions commitments or INDCs, recent science on how much ghg concentrations in the atmosphere can rise without causing dangerous climate change supports the conclusion that the Dutch court mandated ghg emissions reductions target of -25% below 1990 levels by 2020 is still not stringent enough. Much of the Court’s logic in its decision is relevant to the ethical issues that nations must face in developing climate change policy, even if the court’s reasoning in the Urgenda case is not directly legally applicable in other countries, After identifying the court’s legal reasoning in the bulleted paragraphs below, the significance of the legal reasoning for climate change ethics is identified in italics. This post first reviews the Dutch Court’s logic that is relevant to how other nations should determine their ghg emissions reduction commitments under the UNFCCC, or INDCs. 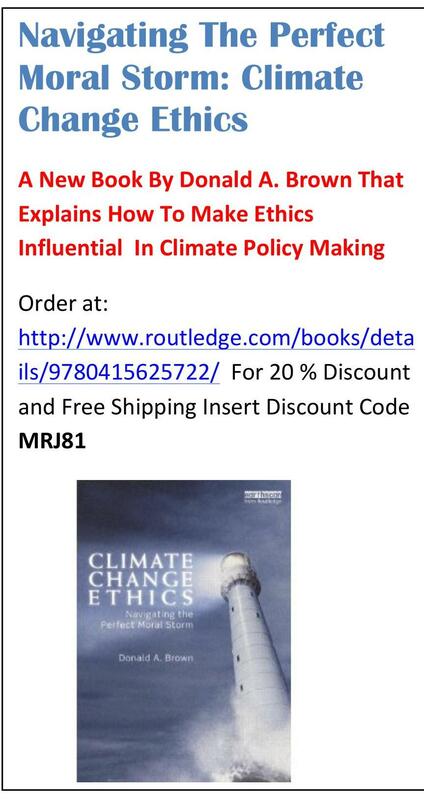 This is followed by a brief comment on the significance of the legal reasoning for climate change ethics. II. The Urgenda court’s logic and its ethical significance. 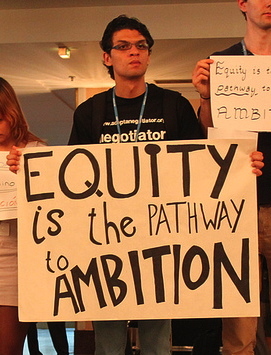 ALL developed parties agreed at the Cancun COP in 2010 to act with a view to reducing global greenhouse gas emissions so as to hold the increase in global average temperature below 2°C above pre-industrial levels, and that Parties should take urgent action to meet this long-term goal on the basis of equity. This is grounds for the conclusion that nations have an ethical duty, even if the legal promise cannot be enforced, to adopt policies that will reduce their ghg emissions to the nation’s fair share of global emissions that at a minimum are sufficient to limit warming to 2°C. Yet, because temperature increases below 2°C will impose harsh impacts on vulnerable people and nations, an ethical argument can be made that nations have an ethical duty to do whatever they can to limit any further warming. Particularly because there is scientific concern that warming of less than 2°C may trigger the catastrophic warming that the 2°C warming limit was designed to protect against, there is a strong ethical argument that nations need to do more than adopt policies that would allow warming to 2°C. The court relied upon the 2007 IPCC’s 4th Assessment report including conclusions to achieve a goal of limiting warming limit of 2 °C, ghg atmospheric concentrations stabilized at 450 ppm CO2 would create a 50% chance of preventing warming greater than the 2 °C warming limit. As above, nations have a clear ethical duty, at the very minimum, to adopt policies that, working with other nations, will limit atmospheric concentrations of 450 ppm. Yet, as we will see below, stabilizing atmospheric ghg concentration at 450 ppm is likely not stringent enough to keep warming within 2°C not to mention that a more protective warming limit of perhaps 1.5 °C may be s needed to prevent catastrophic warming. Every national INDC is implicitly a position on what level of atmospheric ghg concentrations the nation is seeking to achieve in establishing an INDC and its fair share of global emissions the nation has committed to in selecting the INDC. The IPCC concluded to stabilize ghg emissions at 450 ppm, Annex 1 countries must reduce ghg emissions by -25% to -40% below 1990 levels by 2020 and -80% to 95% below 1990 levels by 2050. All developed nations have both a legal and ethical duty to reduce their ghg emissions by a minimum of 25% by 2020 below 1990 levels but because the 450 ppm atmospheric concentration goal is not likely protective enough, the national commitments of developed countries must be greater than -25% below 1990 by 2020. . In identifying the -25% to -40% reduction range by 2020, the IPCC relied upon a study which examined different approaches to apportioning emissions between regions. One way of resolving conflicts between equity frameworks is to deduce emissions reduction target levels by considering multiple equity frameworks that pass ethical scrutiny and averaging them. Several provisions of the UNFCCC have been agreed to by all nations including provisions in which nations agreed to: (a) under art. 2 of the UNFCCC to adopt policies and measures that will lead to “stabilization of greenhouse gas concentrations in the atmosphere at a level that would prevent dangerous anthropogenic interference with the climate system,” (b) under art. 3 of the UNFCCC to protect the climate system for the benefit of present and future generations of humankind, on the basis of equity and in accordance with their common but differentiated responsibilities and respective capabilities and accordingly, the developed country parties should take the lead in combating climate change and the adverse effects thereof, (c ) to take precautionary measures to anticipate, prevent or minimize the causes of climate change and mitigate its adverse effects and where there are threats of serious or irreversible damage, lack of full scientific certainty should not be used as a reason for postponing such measures. Although it is not news to either lawyers or ethicists that nations have duties to adopt policies that will prevent dangerous climate change, to protect the climate for the benefit of future generations, to apply precautionary measures in developing climate policies, and that developed countries should take the lead in reducing the threat of climate change, this decision is the first legal decision to apply these principles to a national ghg emissions target. A strong argument can be made that nations have ethical duties to abide by these provisions in the UNFCCC on the basis of many ethical arguments including that nations have agreed to be bound by these provisions and nations should not break their promises..
First delaying action allows more greenhouse gases to build-up in the atmosphere in the near term, thereby increasing the risk that later emission reductions will be unable to compensate for this build up. Second, the risk of overshooting climate targets for both atmospheric concentrations of greenhouse gases and global temperature increase is higher with later-action scenarios. Third, the near-term rate of temperature is higher, which implies greater near-term climate impacts. This part of the decision is of great ethical importance because it interpreted various provisions of the UNFCCC to require nations to adopt climate policies that achieve ghg emissions sooner rather than later. In doing this the court relied in part on an interpretation of the precautionary principle which has been rarely used for requiring nations to act quickly. Most commentators on the precautionary principle have used it to support arguments that nations may not use scientific uncertainty as an excuse for insufficient action. Yet the Urgenda court used the precautionary principle to conclude that this principle required action sooner rather than later because delay increased the risk of catastrophic climate impacts. The Dutch government’s argument that it should not be required to make major reductions because the Netherlands is only 0.5 % of global reductions and therefore its reductions will not affect global emissions because all nations have a global responsibility and a responsibility to take precautionary measures, nations have both an individual and joint responsibility. This part of the decision is consistent with the ethical conclusion that all nations have ethical and moral duties to reduce their emissions to their fair share of safe global emissions without regard to the size of the nation. Article 21 of the Dutch Constitution requires Dutch authorities to keep the country habitable and to protect and improve the environment and imposes a duty of care on the State relating to the livability of the country and the protection and improvement of the living environment. Although this conclusion is based on a provision of Dutch law, the legal reasoning supports the ethical conclusion that nations have a moral duty to protect the environment for the benefit of the nation’s citizens. The Parties agree that due to the current climate change and the threat of further change with irreversible and serious consequences for man and the environment, the State should take precautionary measures for its citizens. Although the precautionary principle is derivable from ethical reasoning, the decision supports the conclusion that the precautionary principle is binding on nations because they have promised to apply it. 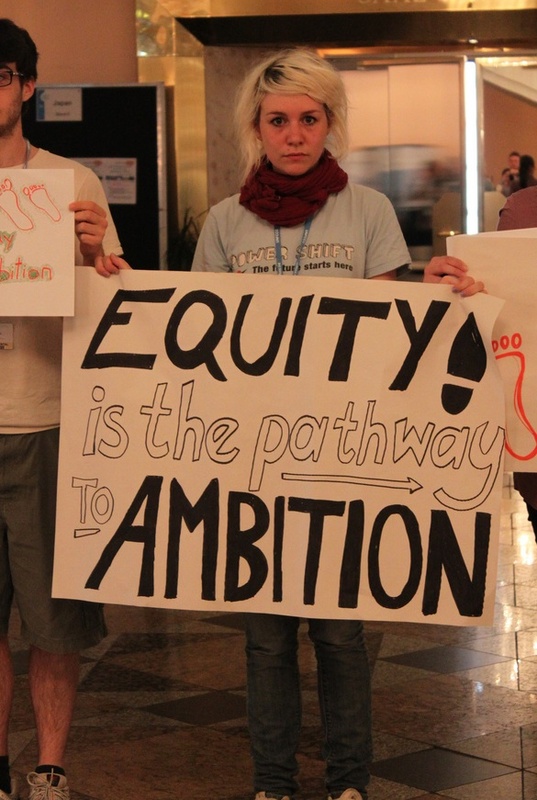 Since it is an established fact that the current global emissions and reduction targets of the signatories to the UN Climate Change Convention are insufficient to achieve the 2° warming limit and thus the chances of dangerous climate change should be considered as very high – and this with serious consequences for man and the environment, both in the Netherlands and abroad – the State is obliged to take measures in its own territory to prevent dangerous climate change (mitigation measures). Since it is also an established fact that without far reaching reduction measures, the global greenhouse gas emissions will have reached a level in several years, around 2030, that achieving the 2°C warming limit will have become impossible, these mitigation measures should be taken expeditiously. This legal reasoning also supports the ethical conclusion that nations must not only act ambitiously to reduce the threat of climate change but must also act quickly and rapidly. 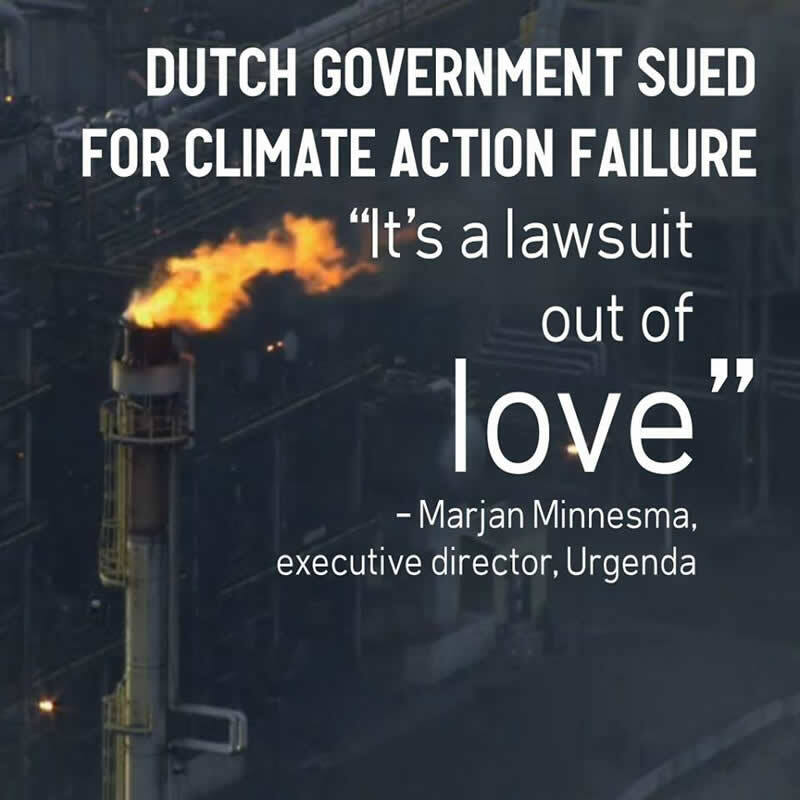 The State has argued that allowing Urgenda’s claim, which is aimed at a higher reduction of greenhouse gas emission in the Netherlands, would not be effective on a global scale, as such a target would result in a very minor, if not negligible, reduction of global greenhouse gas emissions. After all, whether or not the 2°C target is achieved will mainly depend on the reduction targets of other countries with high emissions. More specifically, the States relies on the fact that the Dutch contribution to worldwide emissions is currently only 0.5%. If the reduction target of -25% to -40% from Urgenda’s claim were met the State argues that this would result in an additional reduction of 23.75 to 49.32 Mt CO2-eq (up to 2020), representing only 0.04-0.09% of global emissions. Starting from theidea that this additional reduction would hardly affect global emissions, the State argues that Urgenda has no interest in an allowance of its claim for additional reduction. This argument does not succeed. It is an established fact that climate change is a global problem and therefore requires global accountability. The fact that the amount of the Dutch emissions is small compared to other countries does not affect the obligation to take precautionary measures in view of the State’s obligation to exercise care. After all, it has been established that any anthropogenic greenhouse gas emission, no matter how minor, contributes to an increase of CO2 levels in the atmosphere and therefore to hazardous climate change. Emission reduction therefore concerns both a joint and individual responsibility of the signatories to the UN Climate Change Convention. In view of the fact that the Dutch emission reduction is determined by the State, it may not reject possible liability by stating that its contribution is minor. The court arrives at the opinion that the single circumstance that the Dutch emissions only constitute a minor contribution to global emissions does not alter the State’s obligation to exercise care towards third parties. Here too, the court takes into account that in view of a fair distribution the Netherlands, like the other Annex I countries, has taken the lead in taking mitigation measures and has therefore committed to a more than proportionte contribution to reduction. Moreover, it is beyond dispute that the Dutch per capita emissions are one of the highest in the world. This is a very significant conclusion for climate ethics because many opponents of climate change polices have successfully argued that nations have no duty to act until large emitters like China and India act. The decision is very clear in explaining why such an argument is legally indefensible and also ethically unsupportable in light of the fact that climate change is a global problem and requires global responsibility, any anthropogenic ghg emission, no matter how minor, contributes to an increase of CO2 levels in the atmosphere and therefore to hazardous climate change, and emission reductions entail both a joint and individual responsibility of nations to act. 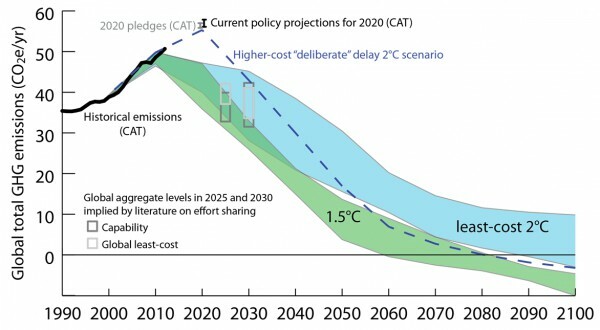 Urgenda is correct in arguing that the postponement of mitigation efforts, as currently supported by the State (less strict reduction between the present day and 2030 and a significant reduction as of 2030), will cause a cumulation effect, which will result in higher levels of CO2 in the atmosphere in comparison to a more even procentual or linear decrease of emissions starting today. A higher reduction target for 2020 (40%, 30% or 25%) will cause lower total, cumulated greenhouse gas emissions across a longer period of time in comparison with the target of less than 20% chosen by theState. The court agrees with Urgenda that by choosing this reduction path, even though it is also aimed at realising the 2°C target, will in fact make significant contributions to the risk of hazardous climate change and can therefore not be deemed as a sufficient and acceptable alternative to the scientifically proven and acknowledged higher reduction path of -25% to -40% in 2020. This part of the opinion also confirms the ethical conclusion that higher and quicker ghg emissions reduction targets are ethically required because slower, less ambitious targets will make the problem worse. In the opinion of the court, the possibility of damages for those whose interests Urgenda represents, including current and future generations of Dutch nationals, is so great and concrete that given its duty of care, the State must make an adequate contribution, greater than its current contribution, to prevent hazardous climate change. This part of the decision reiterates the conclusion that nations have an ethical duty to its citizens to prevent dangerous climate change. The court in another part of the decision also concluded that nations have a clear legal duty to not harm people outside of its jurisdiction under the “no harm” rule which is both expressly referenced in the UNFCCC and is customary international law but decided this clear duty was not relevant to the Urgenda case because the Urgenda plaintiffs were Danish nationals. 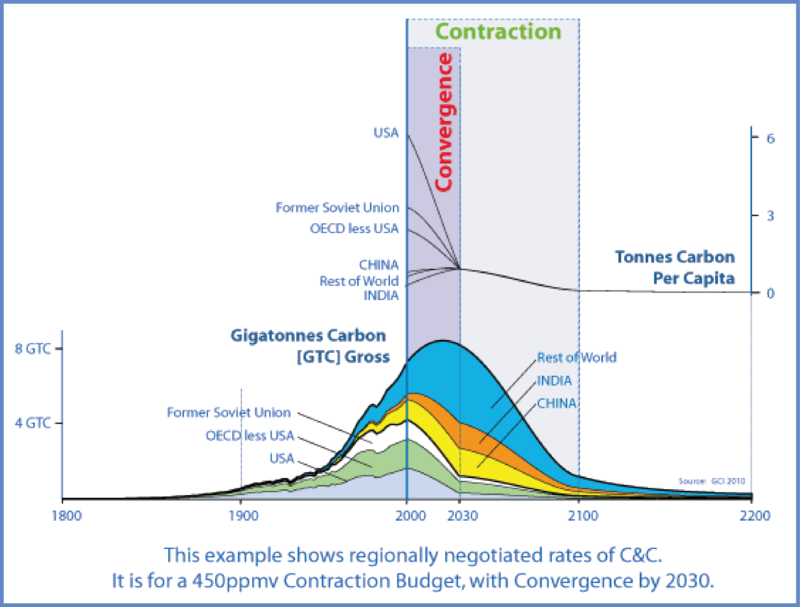 As we have seen, the Urgenda decision relied on the 2007 IPCC report on what emissions reductions would be required to limit warming to tolerable limits which assumed that 2°C2 was a reasonable warming limit for the world and that a 450 ppm CO2 atmospheric concentration was a reasonable atmospheric concentration target to give reasonable chance of keeping warming from exceeding the 2 degree C warming limit that has been agreed to by the international community. Since then several scientific reports have been published that claim : (1) the -25% to -45% reduction levels identified in the 2007 IPCC report are not stringent enough to live within a carbon budget that will protect the world from warming greater than 2°C, and (2) that the 2°C warming limit and the 450 ppm CO2 concentration goal are not stringent enough to prevent dangerous warming . Limiting warming below 2 degrees with a high chance means that total GHG emissions would need to be zero between 2060 and 2080 and likely negative thereafter CO2 emissions from fossil fuel combustion and industry would need to be zero by as early as 2045 and no later than 2065 and be negative thereafter. Because total global emissions must be zero between 2060 and 2080, developed nations need to be zero before 2060. Since the 2007 IPCC on which the Urgenda decision was based called for developed nations to reduce their ghg emissions by -80% to -95% below 1990 by 2080, it is clear that emissions reductions called for in the Urgenda decision are now not sufficient to achieve the 2°C warming limit. James Hansen recently issued an affidavit in support of litigation that has been intiated against the US state of Oregon which summarizes recent scientific views of many scientists in which he concluded that to protect against dangerous climate change, atmospheric CO2 must be brought down to 350 ppm and to achieve this the world needs to reduce ghg emissions by 6% per annum coupled with reforestation and improved forest and agricultural practices. In this report, Dr. Hansen also claims that the required rate of emissions reduction would have been about 3.5% per year if reductions had started in 2005 and continued annually thereafter, while the required rate of reduction, if commenced in 2020, will be approximately 15% per year. Applying these conclusions to the Urgenda decision leads to the conclusion that the Dutch court’s order requiring the Netherlands to reduce its emissions by -25% below 1990 levels is not stringent enough to meet the Netherlands legal and ethical responsibilities to act to prevent dangerous climate change. 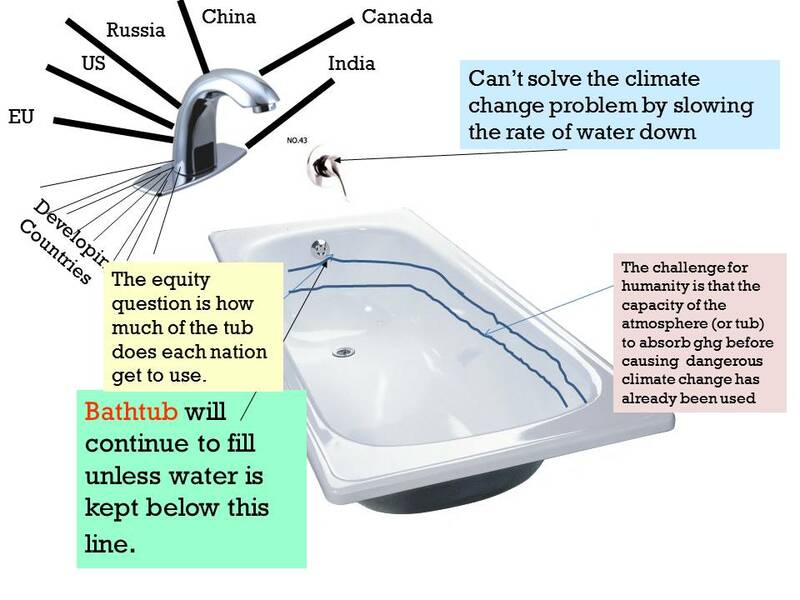 EthicsandClimate.org will be publishing videos that explain basic climate change ethical issues starting with this post. This first video is about 14 minutes long and introduces basic climate change ethics issues, explains why climate change must be understood as a civilization challenging ethical question, identifies some important practical consequences of framing climate issues as ethical questions, and introduces very briefly a few of the many civilization challenging ethical questions raised by climate change.